3-AXIS Ultrasonic Anemometer measuring wind speed and direction. 50 Hz sampling rate. Formerly known as USA-1. 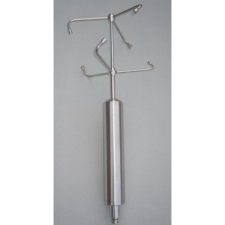 An accurate and versatile 3-AXIS Ultrasonic Anemometer for research applications. 50 Hz sampling rate with options for online turbulence calculation and head separation. Formerly known as USA-1. 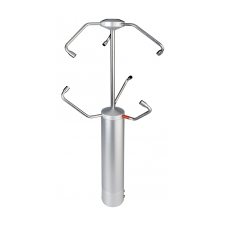 The highly accurate uSonic-3 Scientific 3-axis ultrasonic anemometer is a powerful tool for serious wind and turbulence studies. With options for online turbulence calculations, separation of the measurement head from the control electronics, and the connection of external sensors the compact uSonic-3 Scientific is perfect for research applications and provides the ideal core of an eddy-flux / eddy correlation station. Option available for four scalable analogue voltage outputs. 0-5V/±5V, 0-10V/±10V or 0-2.5V/±2.5V 12 Bit, scalable. 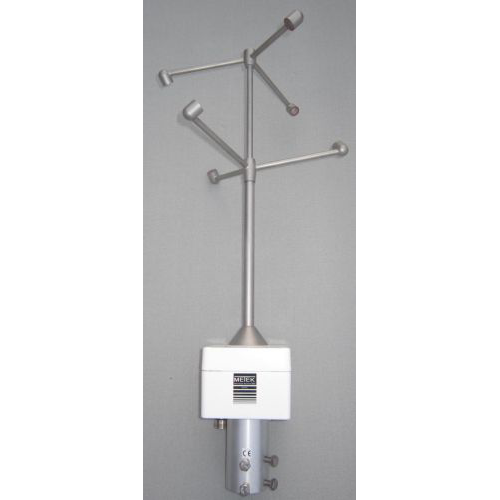 Research grade 3-AXIS Ultrasonic Anemometer for measuring wind speed and direction. 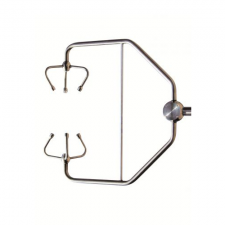 Separate head designed for minimal flow distortion and boom mounting.